Hi there all. Welcome to Mrs. Lincoln's Inkin'!! As you can tell i flipped mine so that it went the long way. My idea worked better that way. My card base is Basic Black and measures average size of 5 1/2" x 4 1/4" and is just a single piece, i wanted the base of my card though to also serve as an outline for my Strawberry Slush, which is the color i chose for my next layer (which is what opens up for my actual card), this piece measures 5 1/4" x 4". For my top piece there i used the Silver Foil paper... a product that just arrived at my house today in another one of those awesome SU! boxes. Whenever i know that there is an order on the way, it feels like Christmas all over again. This paper is great and works wonderful in the embossing folders. 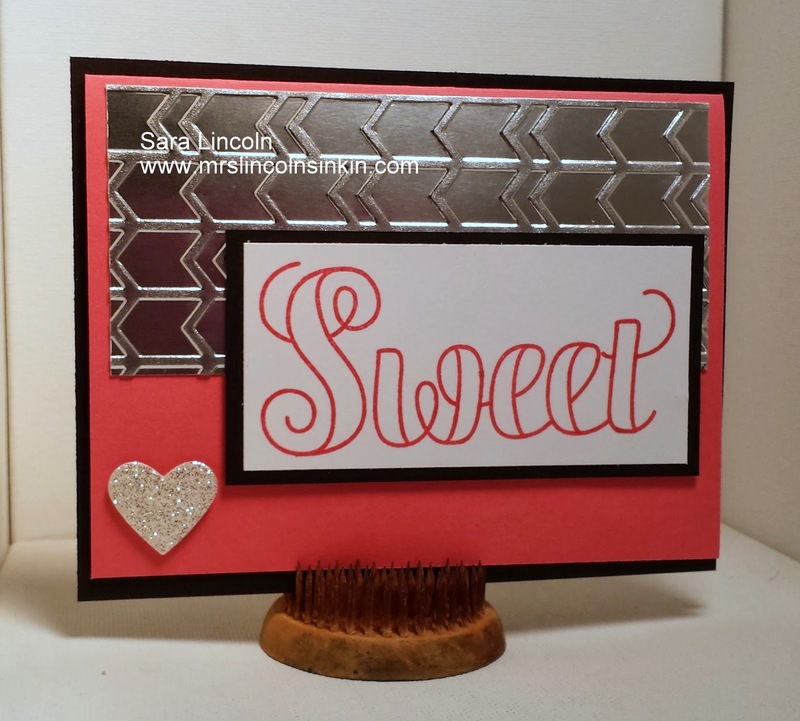 Which i used also on today's card using the Arrows folder which is available right now in the Occasions Mini. For my sentiment i used the new Polymer stamp set Countless Sayings 2. 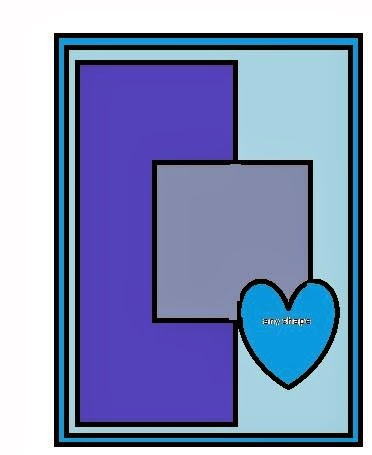 It is a great set for Valentines Day which is coming up but also just for gooshy cards that you may want to give to the one that you love on any given day. Then for my little embellishment in the corner i used the Silver Glimmer Paper.